Home / Together, Making The Music That's Making A Difference / Crossroads to receive prestigious STAND for MUSIC award from NAfMEBecome A Member! Crossroads, our 2009 International Quartet Champion, will receive the prestigious Stand for Music Award from the National Association for Music Education (NAfME) at its June Hill Day event in Washington, DC. 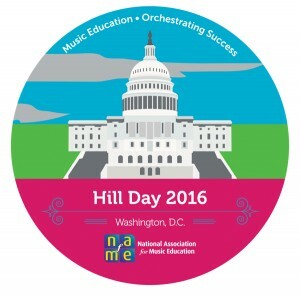 Bestowed only upon select, appropriate recipients through the course of NAfME’s 100+ year history, the award recognizes personal commitment to the promotion of the music education cause, both through engagement with policymakers and outreach to potential music education supporters.